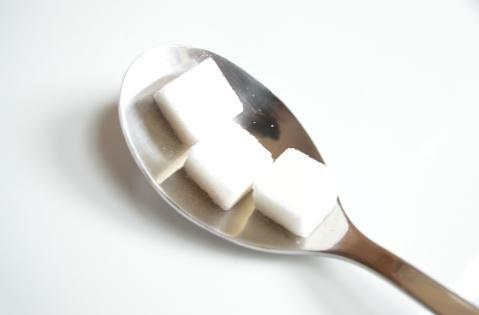 Artificial Sweeteners --- Bad for Your Health? --- what's in them and can they harm me? well known dangers to our waist lines and general health. The research on artificial sweeteners is extensive and growing. Sucralose is sold under the brand name Splenda. Aspartame is sold as Nutrasweet, Spoonful and Equal. Saccharin is sold as Sweet-n-Low. risk for developing diabetes. Read more below. all can't seem to live without. 1. Saccharin-- the Pink Packets. release of insulin in rats, apparently as a result of its taste. 0.67 grams per milliliter water at room temperature. saccharin packages carry a warning label to that effect. requirement of a warning label. 180 times sweeter than common white table sugar. formaldehyde, formic acid, and a diketopiperazine. aspartame groups have never conclusively settled the issue. days of drinking only water. 3. Splenda --the Yellow Packets.